Back in February, Seven Network chief David Leckie promised that they were soon – within a month, apparently – going to tell us about their exciting new plans for a new digital channel to sit beside its existing primary channel and 7HD. The following month, SBS chief Shaun Brown announced that they were moving ahead with plans to re-launch its digital channel, currently World News Channel, in June. One was telling the truth, the other was David Leckie. 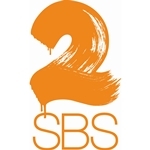 True to their CEO’s word, SBS is indeed launching their new channel, SBS2, on Monday 1 June. SBS is pushing ahead with the channel even though this week’s Federal Budget announcement denied the broadcaster its requested additional $70 million in funding. SBS2 launches at 6pm on 1 June with an introduction, What Is SBS2?, followed by a repeat screening of the Australian-made animation Harvie Krumpet which won at the 2004 Academy Awards. 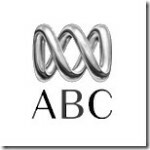 A simulcast of World News Australia, with what will now be SBS1, appears at 6.30pm followed by a repeat screening of current affairs program Dateline. At 8.30pm, the premiere of the German drama series 112 Emergency – followed at 9.00pm by the channel’s first movies, Ninth Day from Germany and Sorry For Kung Fu from Croatia. 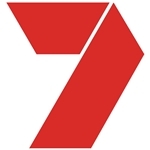 Over the following weekdays SBS2 will basically continue the daytime schedule of the former World News Channel, featuring foreign-language news bulletins via satellite, followed by the simulcast of World News Australia at 6.30pm. Documentaries and current affairs programs will appear at 7.30pm. 112 Emergency continues weeknights at 8.30pm and the night ends with movie double-features from 9.00pm. Saturday nights include light entertainment programming including repeats of cult favourite Iron Chef, an Argentinian drama series If the Dead Could Speak and more movies. SBS2 will also later feature expanded coverage of The Ashes cricket test and Tour de France. Monday 1: 6pm What Is SBS2?, 6.05 Harvie Krumpet, 6.30 World News Australia (WNA), 7.30 Dateline, 8.30 112 Emergency (Germany), 9pm Movie: Ninth Day (Germany), 11.40 Movie: Sorry For Kung Fu (Croatia), 12am Weatherwatch/Close. Wednesday 3: 7am Worldwatch, 6.30pm WNA, 7.30 Shadya (Israel), 8.30 112 Emergency, 9pm Movie: Hell (Belgium), 10.40 Movie: Miffo (Sweden), 12.25am Weatherwatch/Close. Like the launch of ABC2 in 2005, SBS2 is starting with a relatively limited schedule but hopefully over time the channel can, despite the financial limitations, expand its scope of programming to make it a full-scale alternative to the main SBS channel. As well as free-to-air SBS2 will also be available via pay-TV providers Foxtel Digital, Austar Digital, Neighborhood Cable and TransACT.